The Waterloo Centre for Automotive Research (WatCAR) focuses on collaborative research in automotive and transportation systems, by facilitating relations between those within the automotive industry and University of Waterloo faculty researchers. WatCAR also participates in connecting undergraduate students with co-op work placements and graduate students with internships. Automotive and information technology are converging in today's vehicles at a rapid, disruptive rate. With the largest engineering faculty in Canada and with a computer science school based in the largest mathematics faculty in the world, Waterloo knows this convergence all too well. As a leading North American academic enterprise, WatCAR offers over 125 faculty with 40+ research competencies. We are a portal for assemblers, parts manufacturers, materials suppliers and regulators, and software and technology companies. See our detailed list of research expertise. WatCAR envisions future mobility to be smarter, cleaner and more convenient; available to an increasingly wider segment of society. Ontario Centres of Excellence (OCE) speaks with Professor Michal Antkiewicz about the University of Waterloo's autonomous driving vehicle, the Autonomoose. 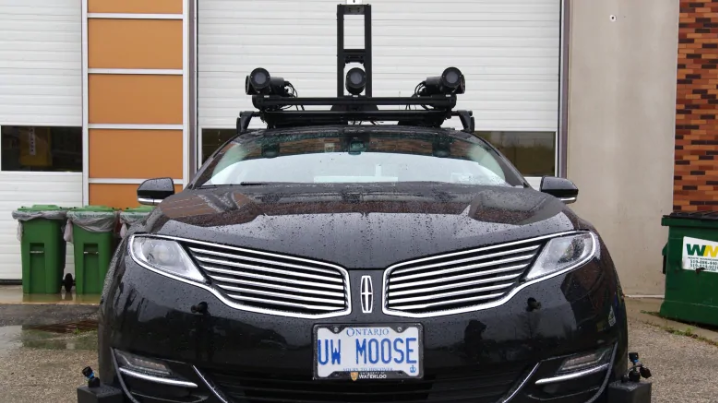 This vehicle is Canada's first complete autonomous driving system. Real-world experience working on a Waterloo vehicle team helped an undergraduate student land a plum co-op job at Tesla. 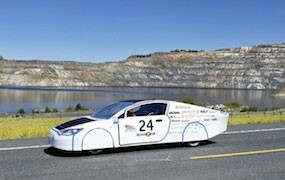 Members of the company’s hiring committee were so impressed with Devon Copeland’s work with Waterloo’s Midnight Sun Solar Car that they asked him to make a presentation about his involvement with the team. Jan. 24, 2019Fully autonomous vehicles to be allowed on Ontario roads. If you’re driving along and you pass a car beside you with no-one inside driving, you just might be in Ontario. The provincial government has changed the rules to allow testing of fully autonomous vehicles, without someone behind the wheel. Testing of vehicles with no-one in the driver’s seat has been done on closed tracks, while some testing has been allowed on public roads but with someone in the driver’s seat just in case.